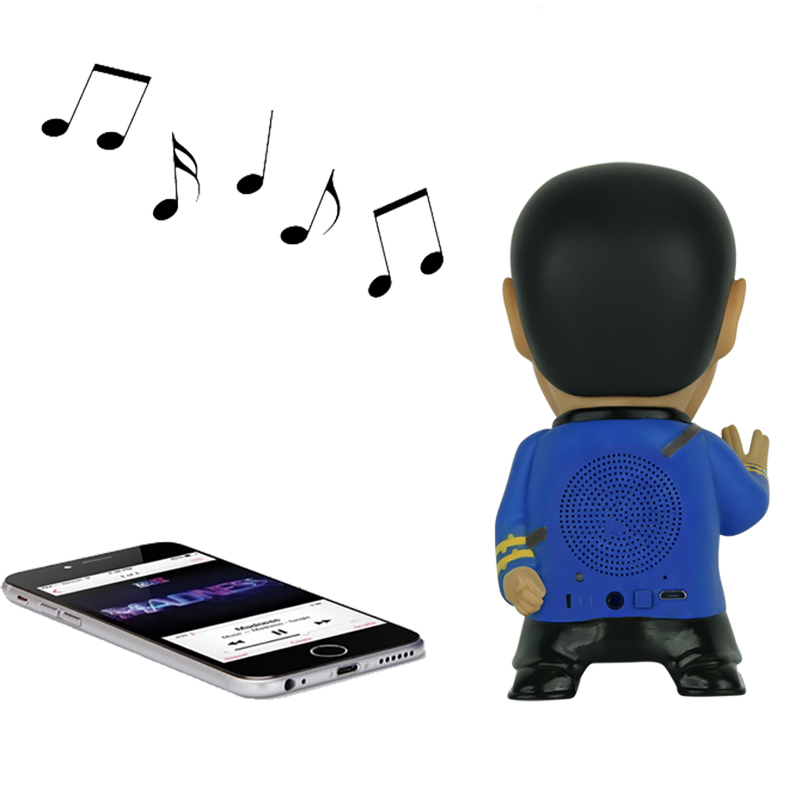 Celebrate the 50th Anniversary of the groundbreaking show Star Trek with your very own Figure Bluetooth Speaker with sound FX. 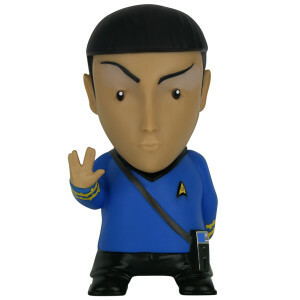 Mr. Spock salutes you with the famous Vulcan saying: "Live Long and Prosper" while the iconic Original Series Tricorder is attached to his belt. Use the try-me button to listen to 9 different hand picked sound clips from the TV show any time the unit is off. Additionally 4 sound effects indicate different functions when the unit is on. Included with Mr. Spock is a USB charging cable and a 3.5mm cable for connected audio. Our Vulcan hero includes a high powered Massive Audio™ 1.5" speaker housed in an equalized chamber along with a microphone to take and make phone calls and has a 5 hour battery life for music playback. 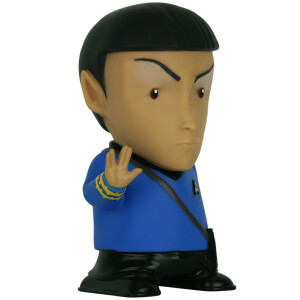 A must for all true Spock fans. I love all the Leonard Nimoy original Spock sound effect phrases. Bluetooth works fine too. The speaker is nice, and the sound effects are clear and most logical. The Bluetooth connects easily, and using the speaker unplugged lasted for about an hour, even though it was only charged a short time via USB. Small light at the back of unit is pleasant in low light and unobtrusive in bright light. A most reasonable novelty purchase.